Last week services on the Blue Line were disrupted after monitoring systems at the operating control centre (OCC) blacked out. Delhi Metro's Magenta Line's services were disrupted on Wednesday after it was hit by a technical glitch. The Botanical Garden to Janakpuri West line was affected for over three hours. A senior DMRC spokesperson said: "As the train departed from Jasola Vihar towards Botanical Garden (Down Line) on Magenta Line, the crossovers zone started showing some signaling issue at 12:05 pm. Due to this, the speed of trains between Jasola and Kalindi Kunj had to be restricted to 25 kmph as a part of fail-safe mechanism. This resulted in minor bunching between the two stations." The spokesperson said that overall services were not affected and services on that corridor were resumed by 3:30 pm. This is not a one off incident. Last week services on the Blue Line were disrupted after monitoring systems at the operating control centre (OCC) blacked out. The issue persisted for two days. Delhi Metro is the lifeline of the city, being the preferred mode of transport of lakhs of Delhiites. In March, it was reported that nearly 27 lakh commuters take the metro daily. "The highest (daily average) ridership achieved in December 2017 was 25.64 lakh while in January 2018, the figure stood at 26.85 lakh. The highest ridership in February has been even higher, at 26.98 lakhs," the DMRC had said in a statement. To make city travel easier for commuters, the DMRC is, in fact, starting operations in three more metro corridors. 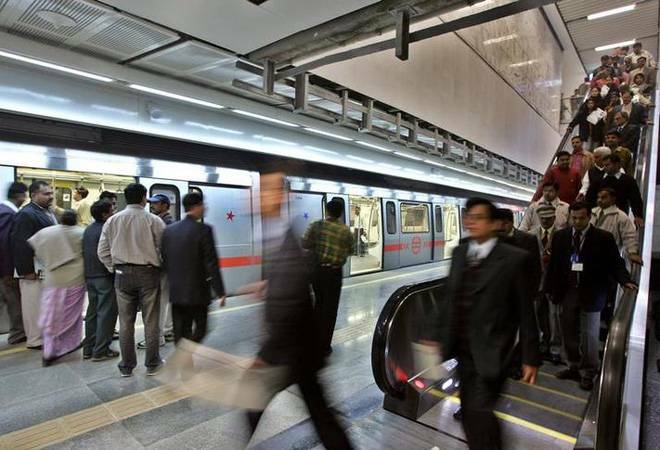 The three corridors set to be opened are the 9.7-km stretch connecting Lajpat Nagar to Mayur Vihar Pocket 1 on the Pink Line, the 9.4-km stretch from Dilshad Garden to New Bus Adda extension of the Red Line and the 29.7-km long Aqua Line of Noida Metro Rail Corporation (NMRC). While the Lajpat Nagar to Mayur Vihar Pocket 1will connect four of the most prominent markets in South Delhi, the Dilshad Garden to New Bus Adda extension will connect some of the most interior parts of the city. The third - the Aqua Line - will make travel to Greater Noida easier for commuters. As such, ridership is only bound to increase indicating that technical snags can result in inconvenience for lakhs of people.